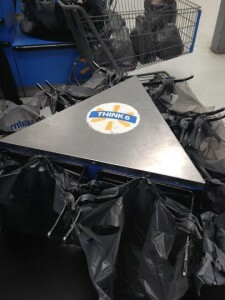 1) We have the Walmart logo which is clearly a 6 pointed star graphic. 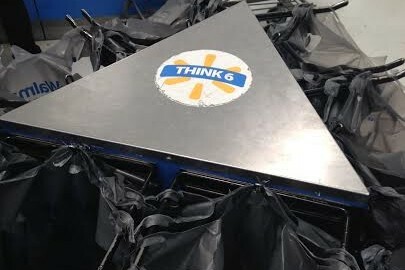 2) We have the marketing message to “think 6” in plain view on top of the device. 3) We have the actual bag rack itself which is an ingenious spinning device composed of 2 bag racks on 3 sides for a grand total of … wait for it … 2 * 3 = 6 bag racks. It disgusts me if Walmart is doing this for an occult reason. Then again there is a reason they dominate the retail industry. Where there is smoke there is fire.